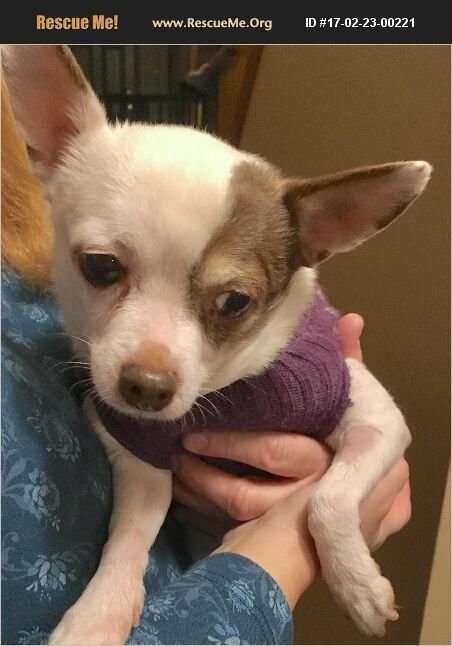 Meet Adoptable Alfie, an 8 year old chihuahua! Alfie is an amazing little dude who came to us as one of 9 dogs that we took out of a hoarding situation of almost 30 dogs. Alfie was sad and in rough shape. With TLC from his loving foster over the past 3 months, Alfie has blossomed into a happier and more comfortable little chihuahua. Alfie is super chill, a total love bug and is crate trained and house trained. He loves to be by his person and he loves to snuggle. While in our care, Alfie has had a full medical work up including a dental with extractions. We also learned that Alfie has heart disease that was not being treated, and he is in the beginning stages of heart disease. He has a slightly enlarged heart which causes his heart to beat too fast. As a result, Alfie is on two medications- one is to slow his heartbeat so as to not cause stress on his heart, and the other is a water pill that keeps his lungs clear from fluid (which is common with heart disease). Alfie has been doing just fine in his foster with these medications and it doesn't slow him down! The medication is rather inexpensive, we are able to fill several months at a time for around $20 and mail order would be even cheaper. Alfie is able to live a normal life with medication, and he deserves the very best! To meet Alfie email bowwowrevolution@gmail.com for an application.